The District Football Final between the two Robert Hitcham's Schools: Framlingham and Debenham resulted in an exciting match. Debenham raced into a 2-0 lead after some sloppy Framlingham defending. The Fram team fought back with a great goal. Oliver ran down the right wing and crossed for Dylan to slide into the net. The Fram captain Liam then equalised just before half time with a strong shot from outside the area. A score of 2-2 at half time was about a fair reflection of the game. The 2nd half started at a furious pace. Debenham took the lead again with a long shot. Danny equalised for Fram with the goal of the match - dribbling around 4 players before beating the keeper. Fram, though, were having problems defending against the strong Debenham forwards. Debenham scored 3 more goals without reply as Fram were desperately pushing forward. A final score of 6-3 was a bit unfair on Fram but certainly the better team won. Thanks to James Crocott (from Stonham Aspal School)for organising this new cup competition and for refereeing the final and presenting the cup and medals. Our local Special Police Constables (both parents of Robert Hitcham's children) paid a vist to our Nursery and Reception classes. The children got the chance to sit in a police car, try on some hats and talk to the officers about their job. Today pupils have been given the order pack for the whole school photo, including a ‘mini’ print. To view the full size version please come and see the framed copy in the corridor near the office, next to the reception area. Orders MUST be returned to the class teacher by FRIDAY 4 JULY. Please note: Cheques should be payable to ‘Gillman & Soame’. If you miss this deadline, you can still send your order directly to the photographic company but you will have to pay for postage and packaging. Spectators are most welcome for what should be an exciting match between the two strongest teams this season. On Wednesday the whole school took part in Sports Day. The weather was perfect (after last year's wash out!) and a large crowd of parents turned up to watch. The youger children (Foundation and Key Stage 1) had their races first. These included hurdles, stilts, running, dressing up, bucket & spade, hoop race and football dribbling. Key Stage 2 then had their events. Running, skipping, uni-hoc, football dribbling and the potato race. Sports Day was hugely enjoyable. Everybody took part in a healthy sporting atmosphere; trying to win for their house, sticking to the rules and appreciating the efforts of all the competitors. HITCHAM emerged as the winners with 210 points. HOWARD were 2nd with 189, MILLS 3rd with 150 and BULSTRODE 4th with121. Our school mascot PRICKLES is turning into a real sports fan. After watching the cricket team last week he turned up to watch the athletics. Tomorrow Prickles will be cheering on our football team in the district cup final. Kick off 3.20 at Robert Hitcham's, Fram. The inter house competition got off to an exciting start with two very close games. Our school cricket team (having won the District competition) took part in the County finals at Woolpit cr icket Club. There were 12 schools from around the County. Each team had to play 5 matches before a series of playoffs. v Halesworth Middle (last years National runners up) we won by 2 runs. Our captain Ewan hit the last ball of the match for a huge 6. We needed 4 to win so he was under pressure but managed to stay calm and hit a fantastic shot. v St Louis Middle (Bury St. Edmunds) we needed to win this game to get to the final. However, we lost a high quality match by just a few runs. It could easily have gone the other way. We dropped a catch and had a really tight run out go against us. We when played a 3rd place play off against Trimly St Mary Primary. We won this by 10 runs thanks to 3 catches by William and a hat trick off our last over by Josh. The only 2 teams to beat us (Beccles and St Louis) qualified for the East of England round. We wish them luck and hope that one of them gets through to the National finals. Our team have now played 11 different schools over the last few weeks and won 9 games. They have done really well. At the county finals they got to meet former England player Nick Night. He saw Ewan hit his 6 and was very impressed with the way that our team played. Nick gave our team a short coaching session and signed their hats. ASDA sponsored the event and gave all of the teams a free hat and t-shirt. As you can see from the photos - Prickles came along as our mascot and really enjoyed his day out. He got very thirsty and needed one of ASDA's free drinks to refresh himself. Foundation and Key Stage 1 races will start at 9.30am, then Key Stage 2 at 10.30am. If the weather should be inclement, the reserve day is Thursday 26 June at the same times. Please ensure that your child has their PE kit at school and a sun hat and sun cream are advisable if hot. All children should bring a water bottle (plastic only). Only KS2 children are allowed to wear trainers. We do still need helpers – if you are able to help please see Mrs Elphick. Look out for the special menus for this. Children who have a school lunch this day can enter the Dinosaur colouring competition (to return by next Friday) with a prize for each year group from SCC Catering. On Non-Uniform day please bring in any donations or promises to bake cakes for the School Fete and hand them to the class teacher. Alcoholic donations should be handed in to the office. Thank you. I have a son in Year One who loves all aspects of school life, and I would like this opportunity to get more involved too. I am passionate about education, having worked with children for over twenty years. I am an active member of the ‘Friends’ of the school. I am sure you will all join Revd Graham Owen, our Chair of Governors, myself, all staff and governors in welcoming Mrs Bell to our Governing Body. Mrs Bell’s term of office takes effect from 1 September, and will last for four years. As all parents are aware we have children in school with Nut allergies, which are life-threatening. Please can I remind parents that if you bring in food for your children to eat in the playground AFTER school that it DOES NOT CONTAIN ANY NUTS/NUT PRODUCTS and that any leftovers are disposed of in the bin, and not left abandoned on the playground. Thank you. We have registered with this campaign. Parents can enter their tokens (found in the lids of Flora tubs) on the website www.cookingwithschools.com, these will accumulate and hopefully generate enough to enable us to swap them for cooking equipment and multimedia teaching resources for cooking. If anyone is unable to access a computer to register the tokens then they can bring them to the office. Thank you. Cricket District Primary Boys – Winners; Football Large Schools Girls – Runners Up; Football District Cup Boys – in Cup Final this Friday; Netball Large Schools Area Girls – 3rd. Well done to all. See the School Blog for more details and photos. 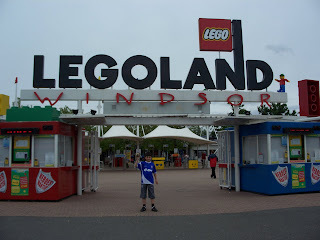 Prickles, Me, my Mum, and Adam (my Brother) went to Legoland, Windsor on Friday the 20th of June. 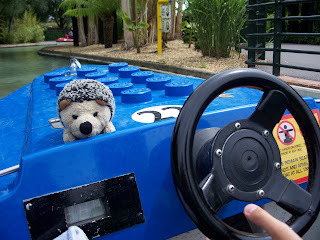 We went on all the rides, including the Mole in one Mini Golf, Boat Driving, The Vikings River Splash, Pirate Falls and Panning for Gold all built with lego. There was also a Miniland which had mini buildings and even countries made out of lego bricks! There was London, France, Holland, America and Scotland which were made out of over 40 million bricks in the whole of Miniland. 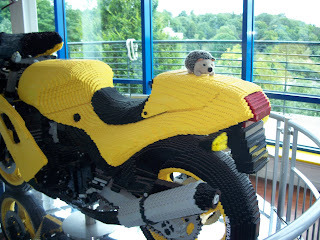 In the centre of Legoland there was a big building which had people making some of the new rides, cool models eg. motor bikes and even a celebrity Wall of Fame including Wayne Rooney, Homer Simpson, all the members of Blue and all the Royal Family in 3d! We enjoyed the whole day and had a long journey back to Framlingham. Our school Football team won their district cup semi final this afternoon at Wickham Market. Our boys started the match very positively and soon went into a 1-0 lead thanks to a good shot from Danny. Wickham equalised from a long ball which bounced and confused our defence. In the second half Fram had lots of chances. William was very unlucky to hit post / cross bar 3 times. We only had one scare in defence but Danny was on hand to clear a shot off the line. In the end pressure told and William deservedly got 2 goals to give Fram a 3-1 win. The final will be against Debenham - time and nuetral venue to be confirmed. Our Nursery and Reception have been growing vegetables and flowers this year. Mrs Eyles has helped the children develop a number of beds for planting a wide range of plants. The children really enjoy planting, weeding and watering their plants. In the garden at the moment there are potato plants in pots, sweet peas, radish, sunflowers and courgettes. Salad vegetbles are sent to the school kitchen for our dinners. We are a Healthy School after all! This has been a very busy week in school with all sorts of group photos being taken. There have been class photos - Thomas even got the chance to be a photographer. All the sports teams had official pictures taken on the field. Finally there was a whole school photo - these only take place about every 4 years. You will be able to order copies soon. Mr Byer ran the anuual inter house spelling contest in the school hall. You can see one of the marked lists below. The results saw Bulstrode finish 1st. 2nd were Hitcham, 3rd Howard and 4th were Mills. We took 2 teams to the annual girls touirnament at Wickham Market. There were 11 teams divided into 2 groups. Our B team started off with a tough game against Debenham which they lost 3-0. They then started to play really well and should have beaten Ston Aspal but settled for a 0-0 draw. Our girls then drew 1-1 against Fressingfield B with a goal by Harriet. There last game was against last years winners Wickham Market. This was an exciting game in which we came from behind twice to draw 2-2. Both goals were scored by Harriet. Special mention should go to Millie who was outstanding in defence throughout. The A team were in a group of 6 teams. They started off confidently with a 3-1 win against Dedenham with 2 goals by Jen and 1 by Maddy. We then had a comfortable 1-0 win against St. Botolphs with an excellent goal by Phoebe. Our 3rd game saw a 4-0 win over Wickham B team with Jen getting 3 more goals and Phoebe & Rachel scoring one each. Our 4th match was the closest in the group with Fram getting a narrow 1-0 victory over Fressingfield A thanks to an unfortunate own goal. We finished the group with a 5th win with a 2-0 victory against Mellis - goals by Jen and Maddy. Our B team finished 3rd in their group - narrowly missing out on a place in the semi finals. The A team won their group so played a semi against Wickham. This proved to be a thrilling and draining match which went to extra time. Wickham had some very good players and they went into a desreved lead. However Fram never give up. We scored the goal of the tournament when Jen made a strong run down the wing. She crossed for Phoebe to smash the ball into the net. During extra time Jen scored her 6th goal of the tournament to put an elated Fram team into the final. In the final we came up against our earlier group opponents Fressingfield. This proved to be another tight game. Fram had several chances and Georigia had to make 4 or 5 good saves to keep the scores level. Fressingfield scored a very good individual goal to get into the lead. Despite 2 more good chances late in the game Fram could not grab an equaliser. We were disappointed but also pleased to get the runners up certificates. It was a brilliant effort. The girls were a credit to themselves and the school.